Third place went to Fisher & Paykel (Grant Rollerson, Peter Nicholson, Niall Kinch and Sonya Hagarty), which was a further 3m16s back. Thurlow Fisher Lawyers (Dave O’Connor) was fourth, followed by Smeg (Nick Press) and De’Longhi-Rabbitohs (Jonathan Whitty). 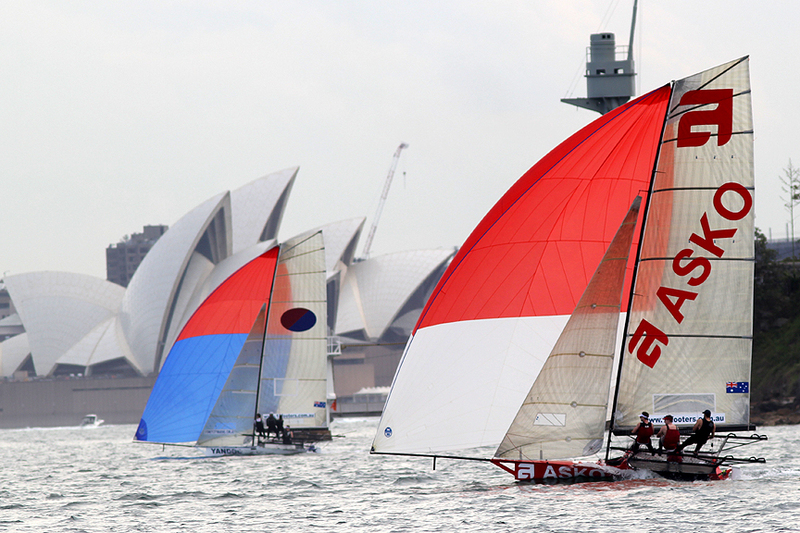 Yandoo edged away from the rest of the fleet down the first spinnaker run and held a 30s margin over Asko Appliances at the bottom mark. 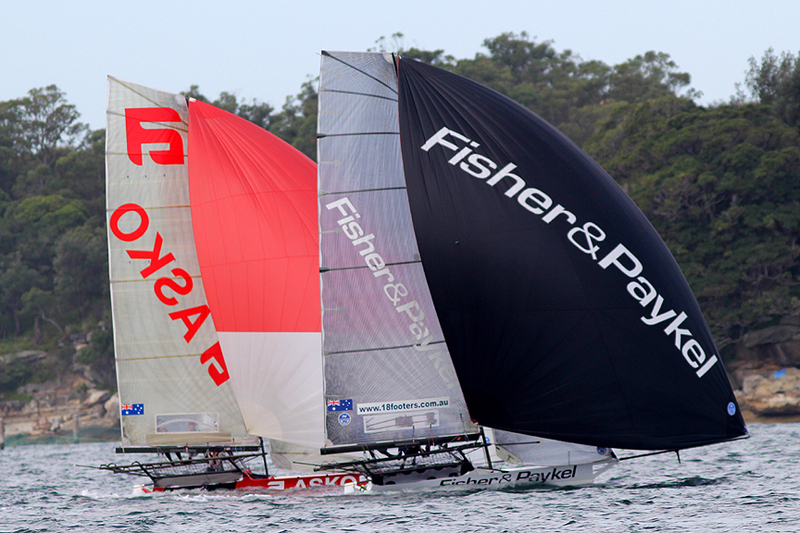 Fisher & Paykel had established a clear third place at the point ahead of Pure Blonde (Nick Daly), Appliancesonline.com.au, Thurlow Fisher Lawyers and De’Longhi-Rabbitohs. 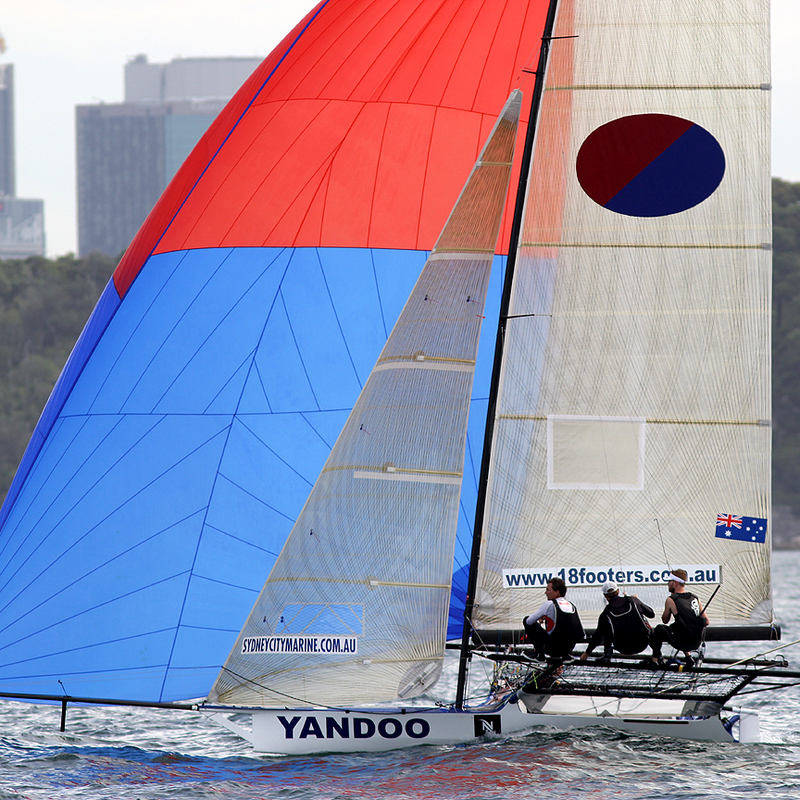 Asko Appliances matched Yandoo up the next windward beat but Yandoo edged away again due to the difference in the 3-buoys rounding. 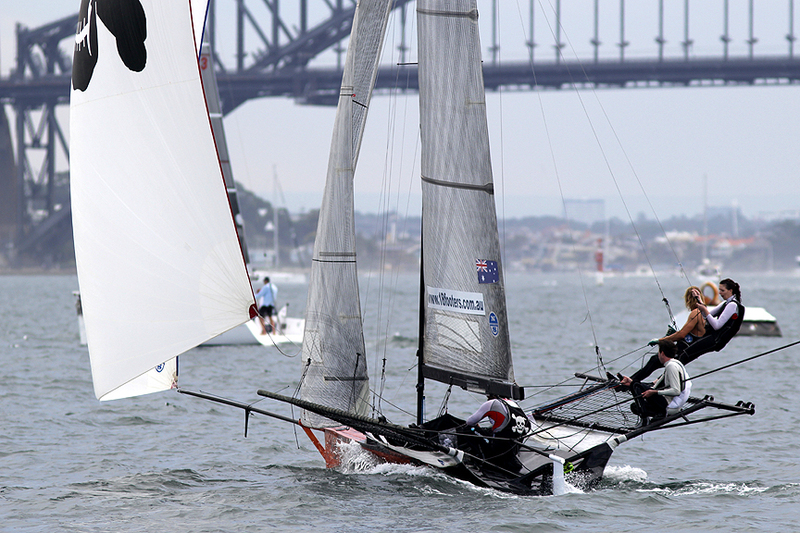 The three leaders had clearly established their positions by the end of the second lap where Yandoo was 1m35s ahead of Asko with Fisher & Paykel another 35s back behind Asko. 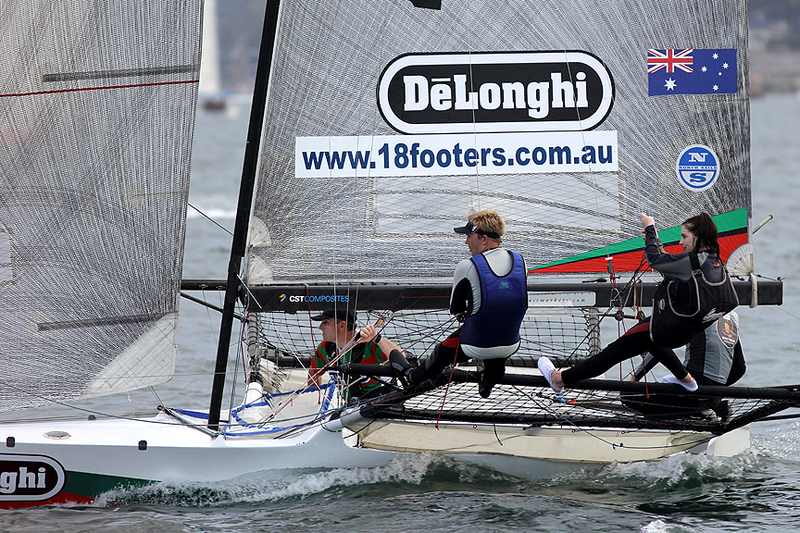 As the breeze continued to drop it was a tough day for all teams. 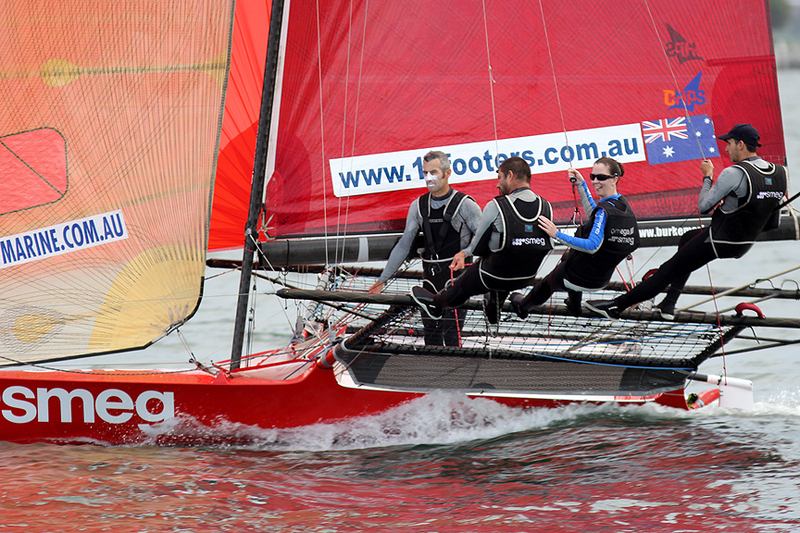 Yandoo still held a 30s. 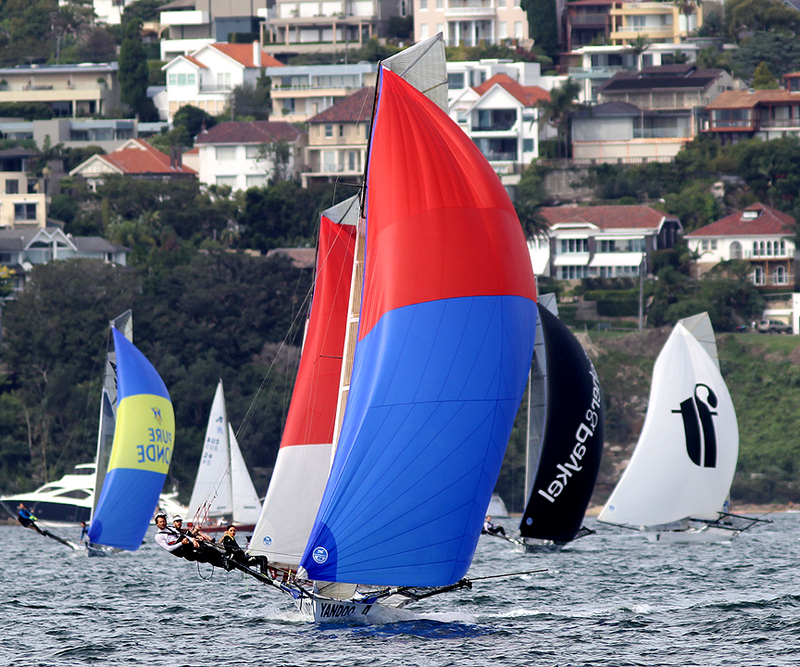 lead at the final mark so Asko Appliances gybed inside the leader.Spectators were compensated for the lack of speed with a really tight finish as Asko Appliances almost nailed Yandoo near the finish.